The world is evolving and video continues to take the lead as the bannerman of the content revolution. Though, there is nothing wrong in admitting that most start-ups and small scale businesses are yet to make the most of video marketing for their business and brand. 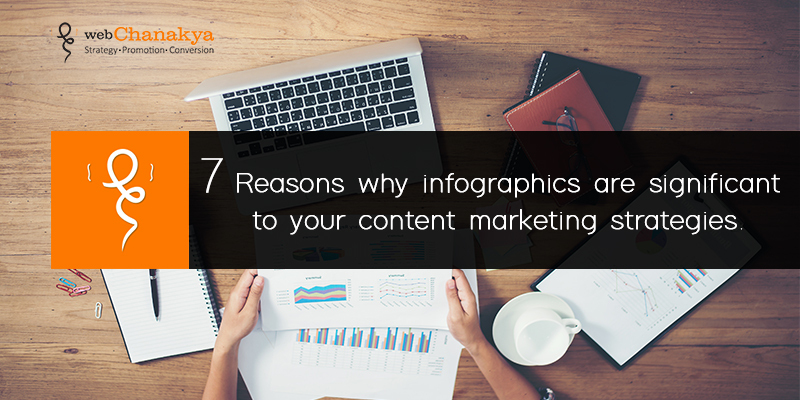 The objective of content marketing is to create and provide relevant and valuable content. The content that you deploy must be attractive, engaging and be able to convert your visitors into your loyal customers. That’s where video marketing comes in action. You have so many opportunities to offer your audience video content throughout their journey that makes them go down the marketing funnel. Videos helps you to make your point to the audience, put you in front. helps to educate them, make it easy for them to trust your brand, and encourages them to make their purchase decision quick and fast. According to reports, 65% of businesses that practice blogs, write a blog or two in a week but they only deploy a video per quarter. It is understood that videos costs way too much, but the biggest hurdle is the lack of creativity. Most marketers don’t know how to accustom a video creatively according to the budget they have set. It is fair to say that blogs and articles seem a lot a easier and safer to manage. It is still easier to choose different topics and write about them every week than producing a video every week. What types of videos are out in the market? What kind of video should I create? What kind of video will be effective for your business goals? Following are the useful types of video that you’re your viewers will enjoy and how they can be used to increase engagement, generate leads and build trust with visitors. The motive of producing a brand film is to make the visitors aware of your brand, acquaint them with your core, values, and visions of your brand. It is an effective way to put your brand out there in a creative an engaging format, you can tell story about how did you start your business, what does it stand for, make it worth because the way videos can deliver your message in the fun and informative way to achieve your means, no other medium can. Don’t we all love learning new things? There are no two ways that your target audience wants to know more about your brand or the niche you are in. What’s better way, if you provide your visitors a way to make learning quick and fun. Such types of videos offer real and practical values and learning with educational content to your audience that they can apply to their everyday lives. Though animation is more of a style than a type, but an impactful style. Animated videos have the power to provide visual simulation in an enticing manner. Animation videos are best for businesses that have complex products that are difficult to explain. The most popular types of animated videos are landing page explainer videos and the currently trending videos are whiteboard explainer animation videos. Animation videos are a new dimension that has a wow factor that makes your videos engaging and memorable. They are perfect for product tutorials and presentations, there are also several tools that can help you create simple explainer videos and business presentations. For many brands, video marketing starts here. It is a way to show your customers how to do something in an efficient manner. Whether it is a tool, or using an application or setting up an account. They allow viewers to see things happening in action, things which are practical and relevant in their everyday lives. They can also be used to simplify complex aspects in their minds and lives. 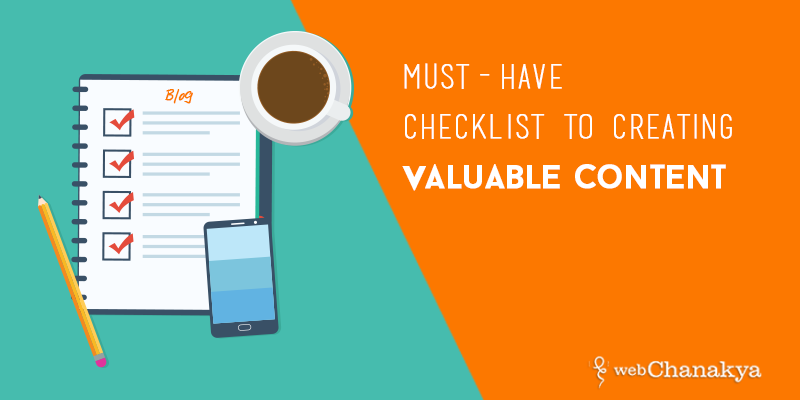 These videos are a great way to establish authority in a vertical, surrounding all the important hacks and how to-s in the search queries. Think of ways that you can offer actionable resources that are relevant to your target vertical. Whether you believe it or not, you have produced this kind of content sometime in your marketing efforts. These videos are popular because they are real-time, many people can see you live. They most valuable user-friendly videos that you can offer your viewers. They are free events that are helpful and relevant insights to attendees. They are high-value and requires no script and actors to explain your point. 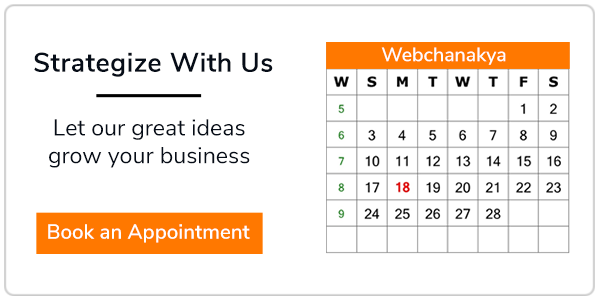 You can ask your viewers questions regarding your products, host Q& A sessions with clients, demonstrate products, ask for their feedback and suggestions and also conduct interviews. 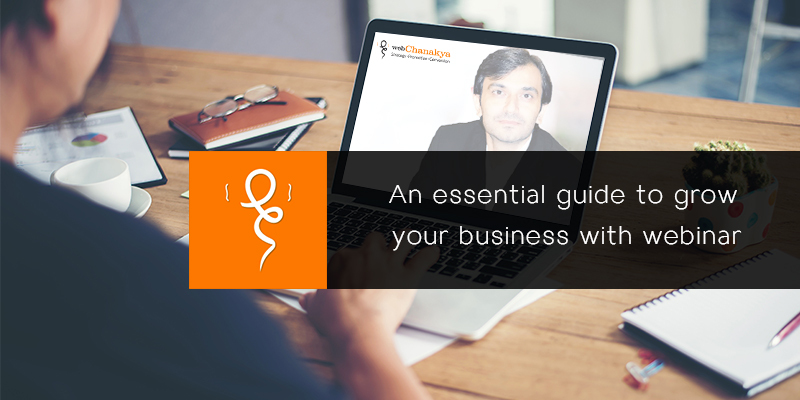 With webinars there’s nothing to lose, but a lot to gain. Nothing helps more than showcasing how your product or service works in order to convince your viewers of its benefits. Product reviews are essential in the world of corporate videos because they’re effective. According to a study, 59% of consumers accept that they make their purchase online after watching a product video. More confidence is indirectly proportional to fewer returns, and more happy customers who want to share their experience with your brand. However, product reviews don’t have to be reviews of the competitors’ products. They are gradually becoming a dime a dozen, but the good ones still have the ability to make a difference. Use these videos to show the human side of your brand, these videos let you ride from the pack by connecting on an emotional level with your viewers and offering them a personal connection. Share your secrets and the passion you have for them and your brand. Let the personality of your employees shine through this kind of a video. Good video marketing makes your brand humane and more alive than what it is right now. There is no better way for tapping human engagement than video. It can contain slice-of-life employee interviews, your team-building days, pranks they do on each other, bloopers, events, parties and celebrations, everything that’s behind the curtain. Use your creativity, let it out, let you viewers see how your brand and company functions. Testimonial videos are a versatile tool to build credibility and trust, they can also be used to showcase the features and benefits of your product. Testimonial are a kind of product review or a company review, so they need to look genuine. If you are doing a good job, then you must be amassing a number of testimonials that you can use on your website. You can through an event instead of attracting existing customers that you can record live for a fun testimonial. Or you may also create a contest for customer review videos that you couldn’t write yourself. There are a number of ways to encourage and engage your consumers to give you video testimonials, but it depends on how you figure it out. When it comes to inducing an emotional response, nothing can fare better than a video. Whether you’re a nonprofit organization with a crunch on budget, using video as a tool is the combination of sight and sound that affects people in a very real way. PSA provide shareable content that target hot issues that surrounds our society in a creative and sharp way. PSA can be used to gain trust and create a positive image about you in the minds of your users. Presentation videos take the anticipation and enthusiasm of an event and conjoin it with the expediency of a webinar to create a compelling and shareable content. Brands can leverage the mojo of presentations to their advantage is through providing targeted presentations at their corporate events or networking events. Interview videos are a great way to inoculate authority into your multitude of engaging and humorous offerings. They help in building trust and relationships with potential referral partners. A perfect interview must have a set of guidelines to follow, but it should feel unscripted. A well-done interview video is like a free card for your content, and it is a surefire way to spark some discussion on social media channels. Including video in your content marketing strategy is one of the most effective way to accelerate the journey of converting your viewers into consumers. The above types of video content can be used to help push your potential buyers towards purchase. Videos are at every stage of your buyer’s journey. The more you utilize videos in your marketing strategies, the easier you make it for your buyers to move down the path to make their purchase. Video content that really wows your viewers is right under your nose and it’s up to you to stay attentive of when is the right time to practice it. 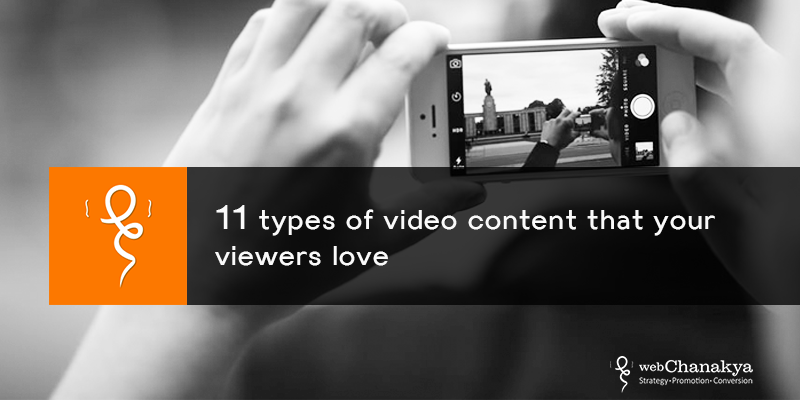 What kind of video content have you used in your content marketing strategies? Share the other kind of videos in the comment section below.